Gumballs #1 Review – AiPT! The debut issue of a fun, quirky anthology series. 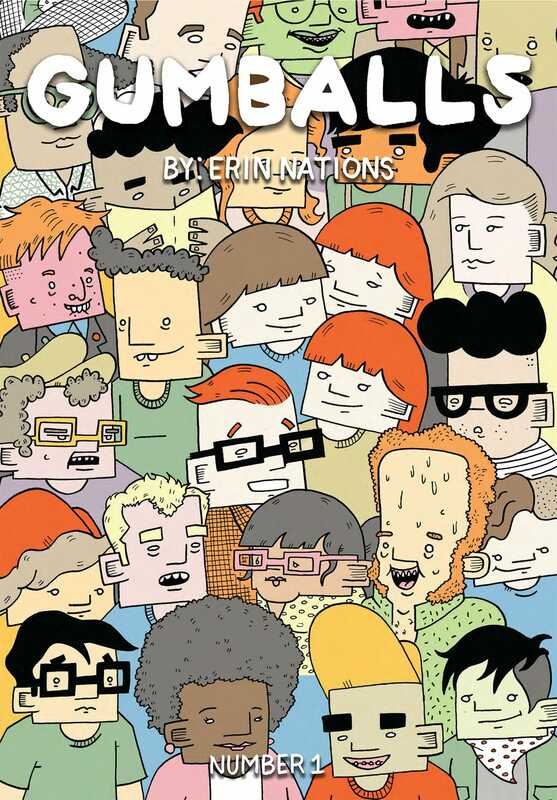 Published by Top Shelf Productions, Gumballs #1 is the debut issue of Erin Nations’ anthology series. The art style is geometric and the content is varied, though most of the comics included are autobiographical in nature. Much of the issue draws upon everyday experiences for comedic effect, while other portions touch on heavier subject matter. Do all the different tones ultimately gel together successfully? Is Gumballs #1 good? At a first glance I thought that Gumballs looked promising and, thankfully, I wasn’t wrong. This is an anthology with a real sense of substance–you don’t just wade through the “meh” to get to “the good.” Most of the issue is “the good.” There are a lot of strips devoted to everyday likes and dislikes, and humorous anecdotes from customer service work. These more lighthearted segments make the issue’s more serious moments easier to swallow, and keep the reading experience fun. With that said, the issue’s serious segments are also very well-written. Considerable page-time is given to the difficulties of coming out as transgender as well as coping with anxiety, and Nations handles those personal topics movingly. The issue’s quality is also enhanced by its artwork. It took me a little while to get fully accustomed to the geometric style, but once I did I found it charming and reminiscent of a modern Cartoon Network show. The bright coloration is particularly pleasing to the eye. With all of that said, this issue still has some cons. Nations introduces a handful of characters who appear to be important, but whose roles are as of yet unclear. Given Gumballs‘ autobiographical nature, my instinct is to assume that these characters are Nations’ friends, but that’s never actually stated. Nations’ character never actually interacts with any of them, so their segments feel like abrupt breaks from the main narrative. There are also a handful of comics that don’t successfully deliver humorous or emotional resonance. That’s a danger for any anthology, but thankfully only a minority of Gumballs’ comics miss the mark. Overall, Gumballs #1 is an enjoyable read and a promising start to the series. The art style is unique and matches the tone well, and most of the comics included are solid. This is a slice-of-life series with all the emotional and comedic moments that phrase entails, and I’m looking forward to reading the next issue. Charming art and poignant day-to-day moments make this an enjoyable first issue.